It is my pleasure to show all of you Mark Stevenson's painted collection of Asgard Space Marines now produced by Alternative Armies. 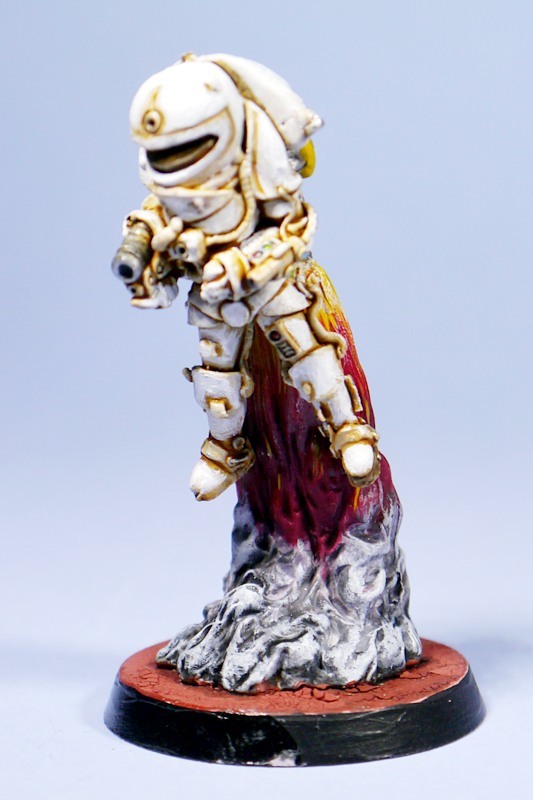 A classic set of miniatures great for 28mm gaming in a hard sci-fi white and orange scheme. Enjoy and all of these miniatures are on our website. Many pictures in the article. This entry was posted on Monday, February 11th, 2019 at 14:56 and is filed under News. You can follow any responses to this entry through the RSS 2.0 feed. You can skip to the end and leave a response. Pinging is currently not allowed. Nostalgia overload! I had sme of these in college in the early eighties, long since lost. Glad to be able to bring back some memories for you.